For people who have a fascination of writing and of Transylvania, there seems to be something that falls as a person, and a book that links these people together. Dracula. Or more precisely the character. For the little while I'll be writing about Dracula and the man behind the myths. For some it is the Dracula that Bram Stoker wrote about, but really where did Dracula come from? Really Dracula is a myth, but there is a basis from his birth until his death Vlad Tepes was a man that loved his princedom, and fought wars that lead to his infamy. 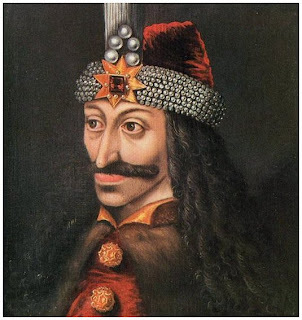 Over he next little bit I'll be using photos and writing to tell of the Dracula: Man Behind the Myth.